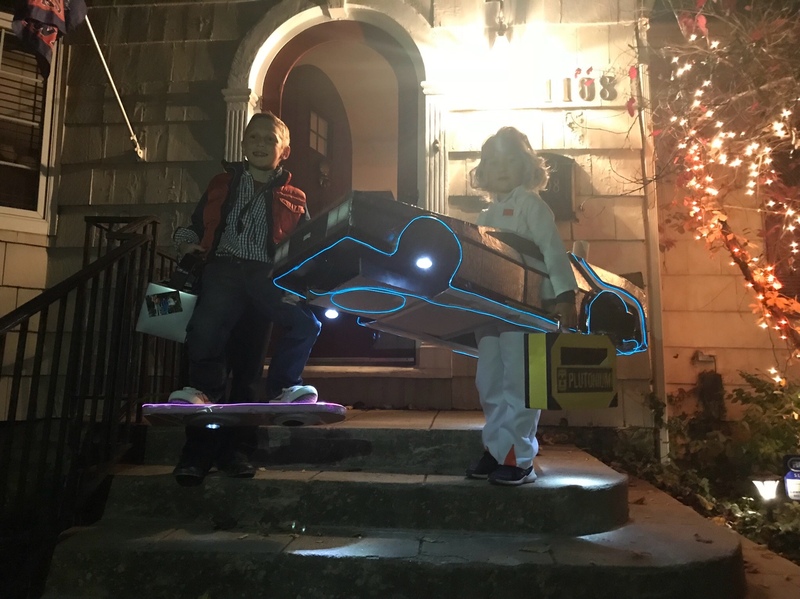 These two trick or treaters stopped at my Aunts house in Lawrence KS. 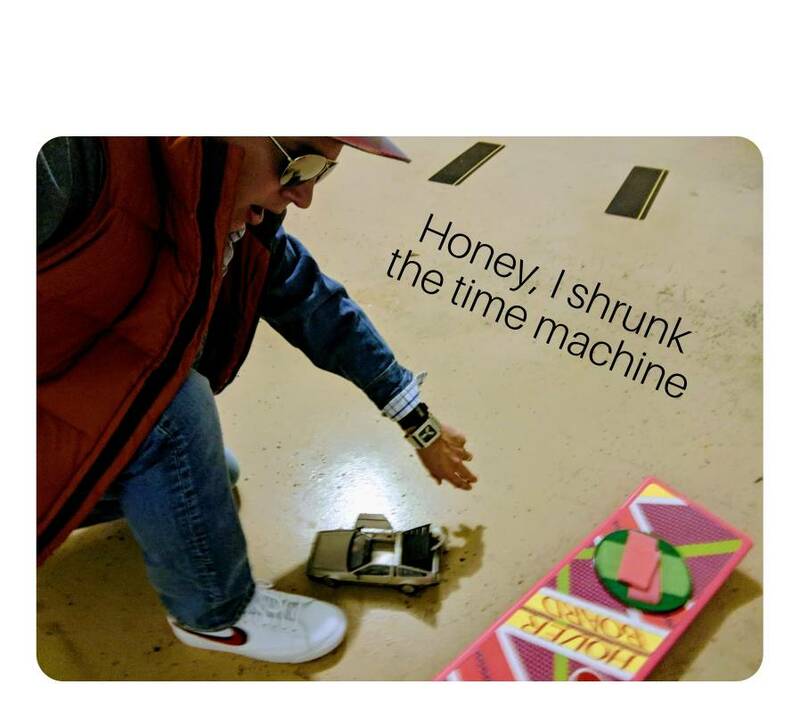 I really like the hover-board illusion in the last image. 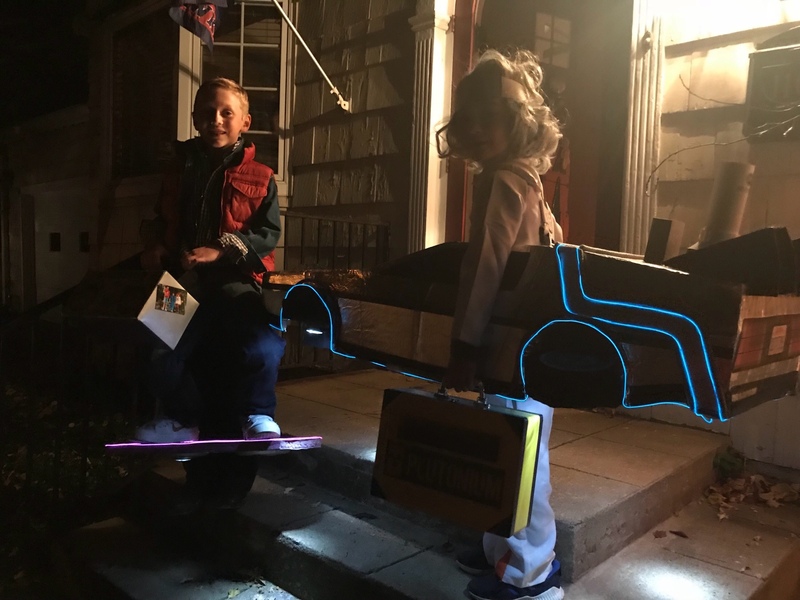 We had lots of cute kids and many dressed up as Teenage Mutant Ninja Turtles but no BTTF themed costumes. Very cool...wonder if the kids came up with the ideas or if the parents did...hehe. This is all I could come up with as I await the real D to be ready. 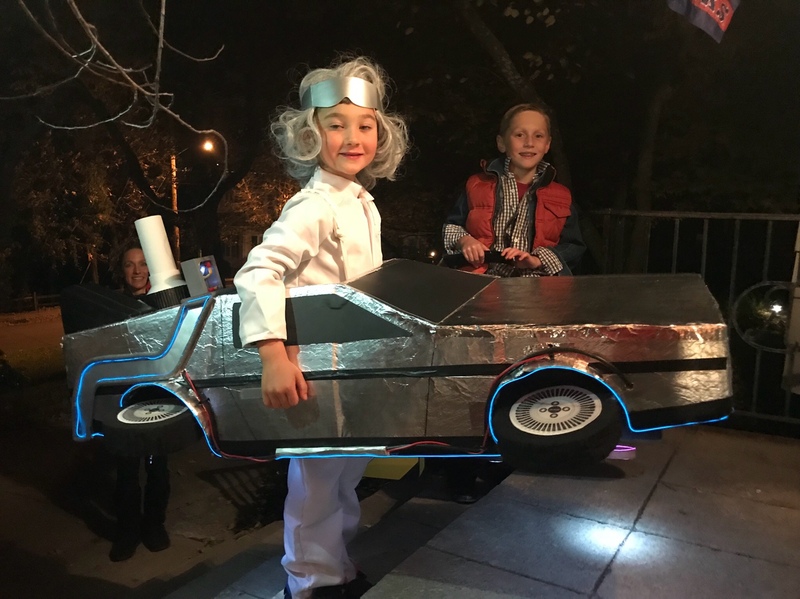 so jealous of this little guy… HE can answer "yes, it is aluminum."